Home News	Can Amtrak Be Salvaged? There is a lot of neglected infrastructure in America. A divided and paralyzed government has let the roads, bridges and rail systems of the most powerful nation on earth to fall into a state of disrepair that might be more normal for a Soviet-era satellite country. Nothing will highlight both the problems and potential like taking a trip on our aging train system. It's not what Amtrak is that made the trip a sad, slow trudge through the industrial backroads of our nation's rail system; it's what it could be, but is not, that made the trip frustrating. I was surprised at how many people actually do ride trains. On our travels we were regularly riding in coaches that were full or nearly full. Our fellow passengers were a cross section of people that you might meet at any small town country fair. Predictably missing were the executive types who generally view train travel as something less than practical transportation anywhere outside the northeast industrial corridor. Other than that our fellow passengers were just normal people. Along with the normality of people there were the normal annoyances inevitable with that much humanity cooped up in a small, noisy space; shrieking babies, loud cell phone conversations, noisy kids and the occasional bump from someone pitched sideways while walking down the aisle. I was also surprised how fast the trains could get between stops along the route; we generally flew along far faster than you could drive between cities. That perplexing observation was tempered by the fact that getting to our final destination takes far longer than driving. That inconsistency was one of the peculiarities of train travel that fed my personal frustrations. There was really no advantage in terms of cost, time, convenience or comfort in taking the train. Any discussion of rail transportation seems to immediately provoke concerns regarding subsidies. That concern arises in spite of the fact that we subsidize virtually every form of transportation in America, including bicycles and pedestrians. This isn't so much about the liberal pipe dream of billion-dollar fleets of shiny new high-speed trains racing across the fruited plains as it is making the money we are already spending work harder and, in that context, there is much we could do better. Sometimes improvements can be as simple as information about stops along the route. We discovered our train stopped at a small town that was miles closer to our hotel but we had already arranged transportation at the end of our ticketed trip. On the way back we were routed through a major city that would have made a great overnight stop but without knowing that in advance we had no way to take advantage of the opportunity. The inflexibility and obscurity of the ticketing process flies in the face of modern technology and made me realize that even Amtrak sees the rail world in terms of freight. The rail freight history is part of what shapes how Amtrak operates on U.S. tracks and, instead of embracing the duality of function, it is obvious that moving people by rail is somewhat of an inconvenience. People are just another type of box to shuffle and one that is expensive relative to freight. Unless the perception that U.S. trains are a resource for cargo and people, rather than treating human beings like a persistent problem to accommodate, rail is going to remain a quaint, novelty mode of transportation until we get tired of funding it. I still believe rail is an important part of our infrastructure future, just like I believe that manned exploration of space is a worthy collective expense. But after seeing first-hand what SpaceX could do with an amount of money that’s a rounding error for our space program, I’m wondering if NASA is the right organization to lead that effort. When it comes to fixing the trains, maybe we need the fresh view of an organization that isn’t rooted in the past of railroad operation. 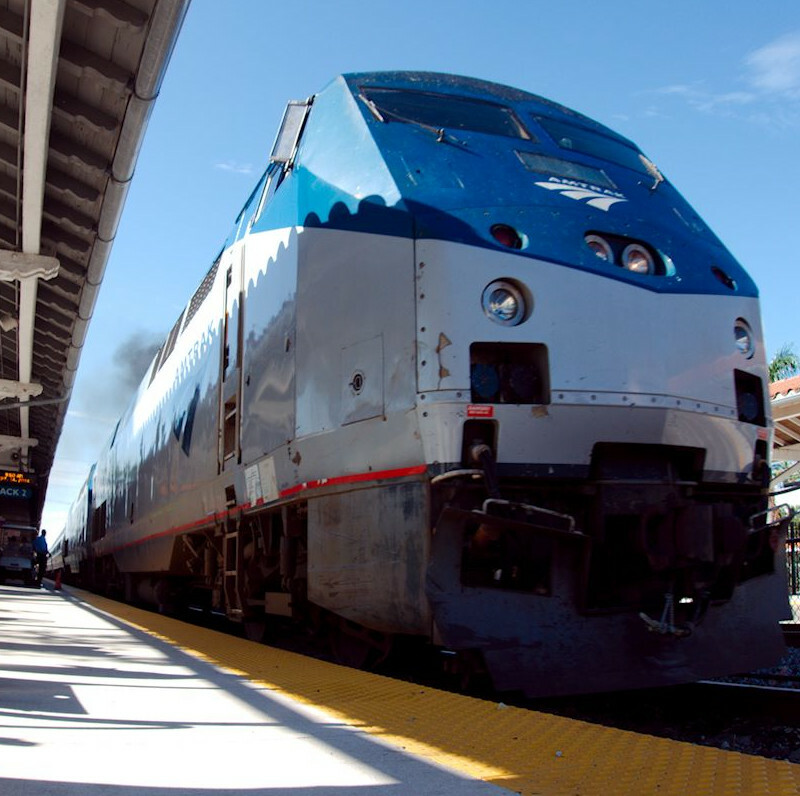 There’s still hope for the future of passenger rail, but maybe Amtrak isn’t the organization to get us there and an incident on the return trip solidified that perception. During the last leg home of our train trip it was cold as a meat locker in our railcar. When I asked if they could raise the temperature one of the staff explained that they could, just not from the inside of the train. If Amtrak can't do something as simple as maintaining a comfortable temperature, what hope is there they can address the big issues?